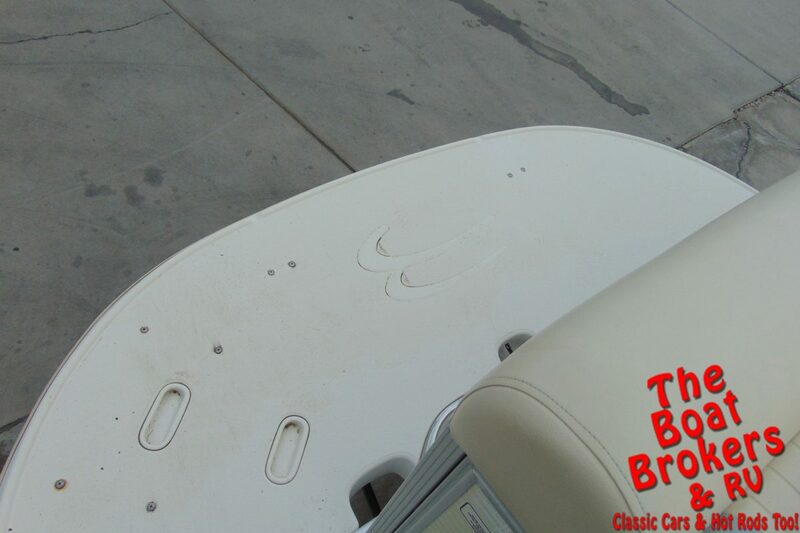 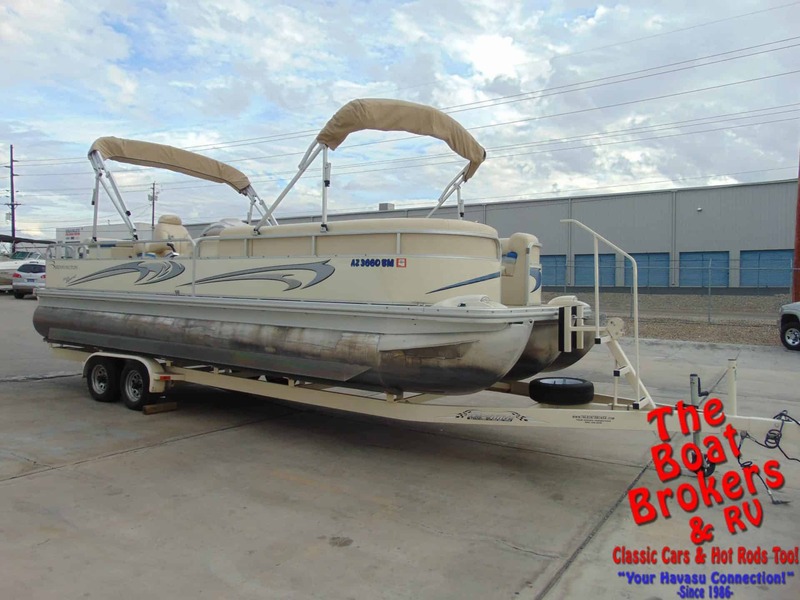 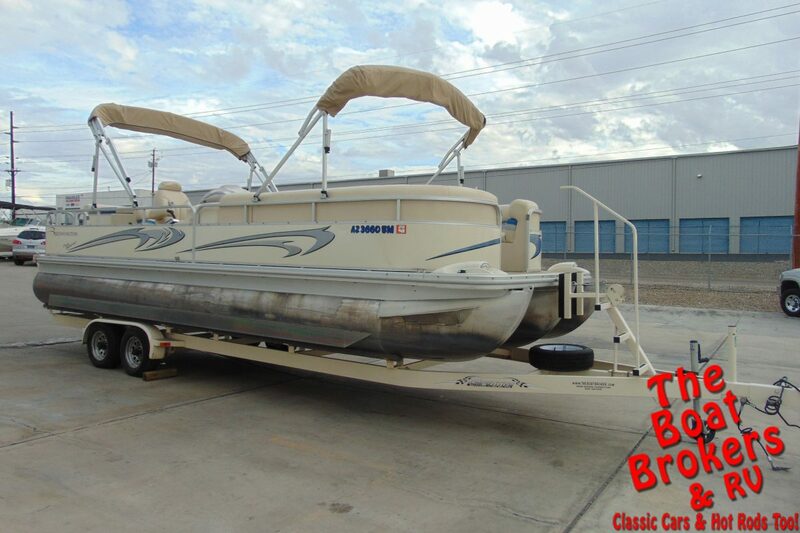 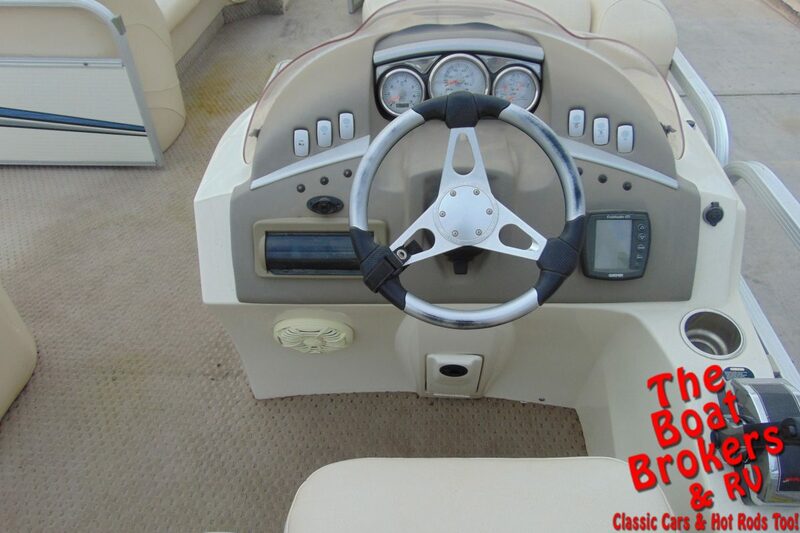 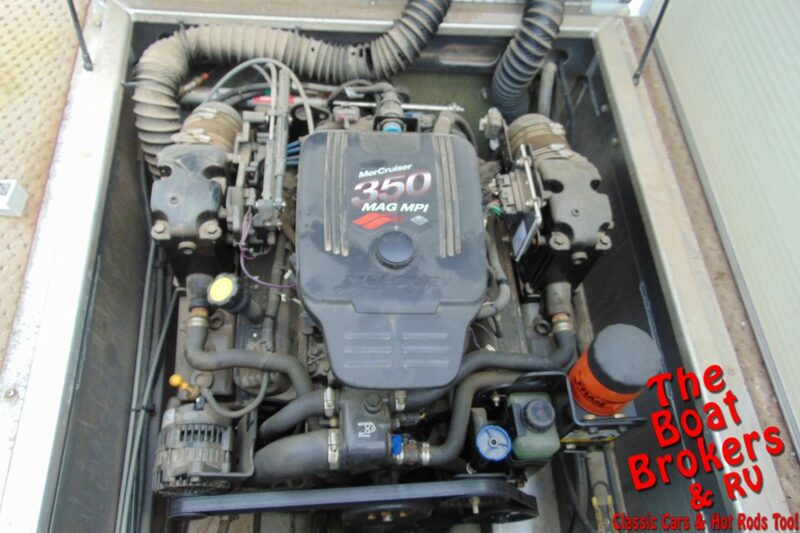 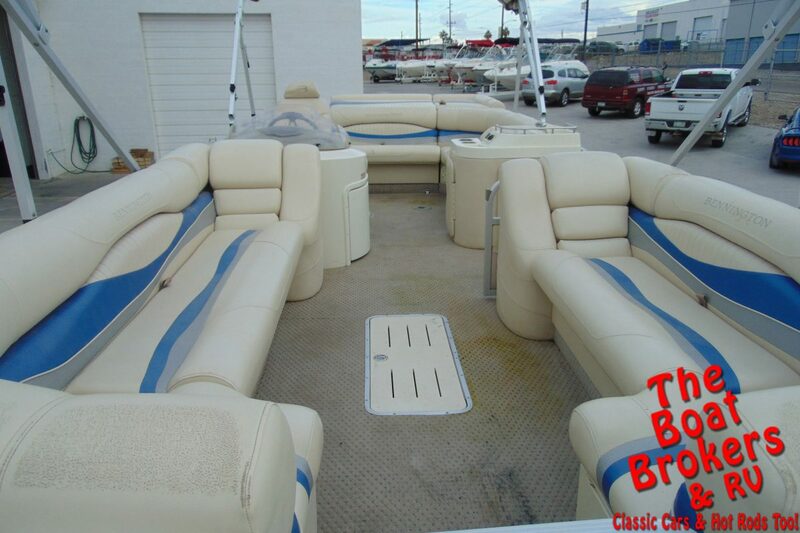 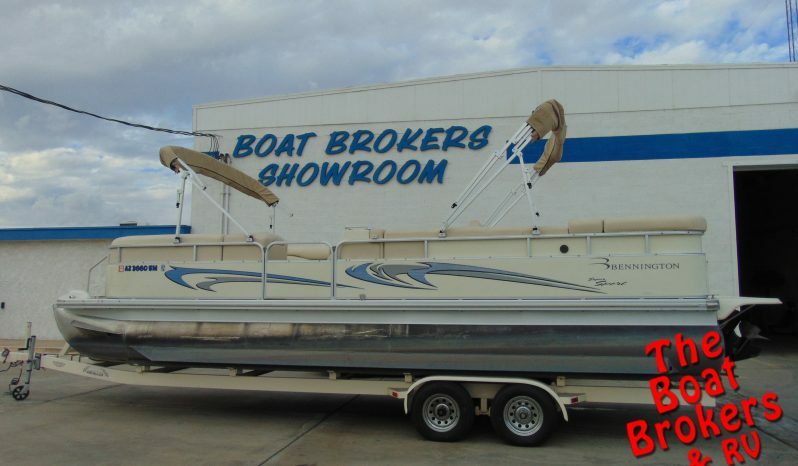 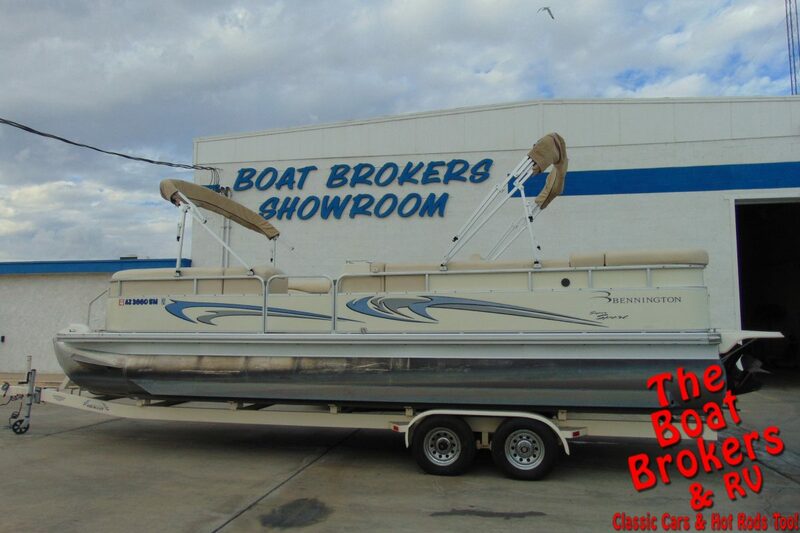 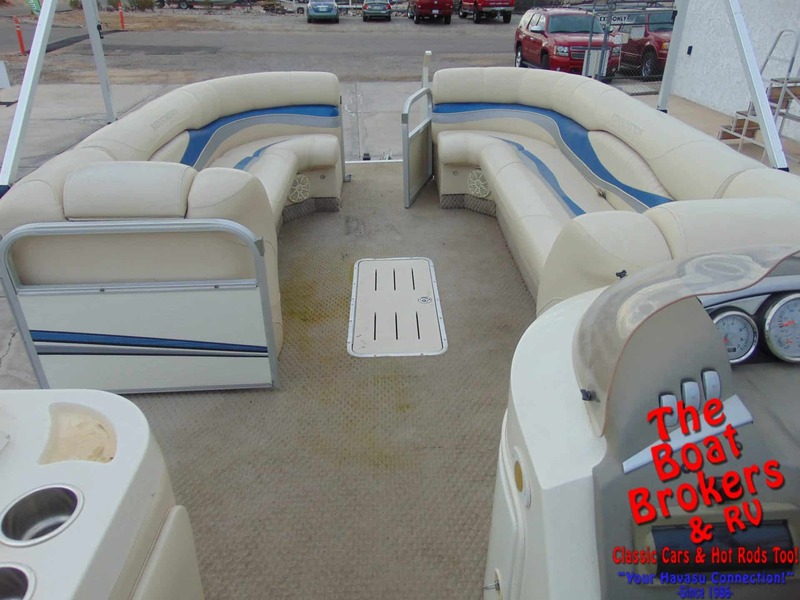 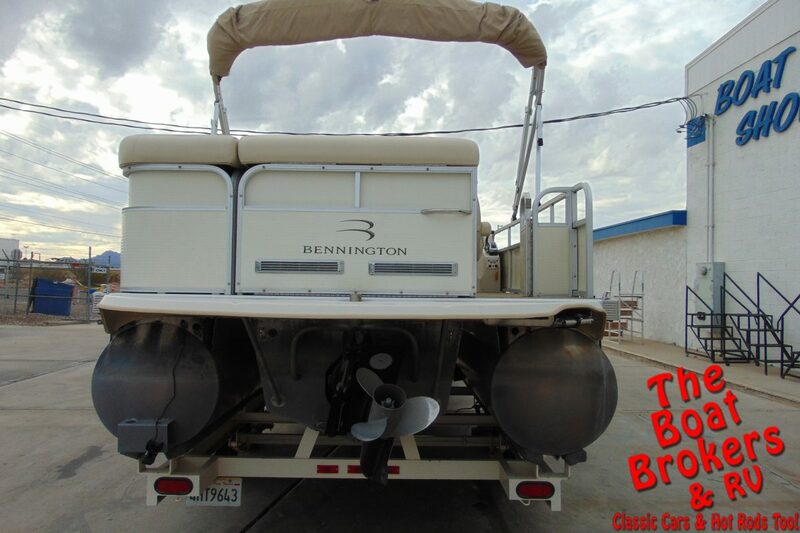 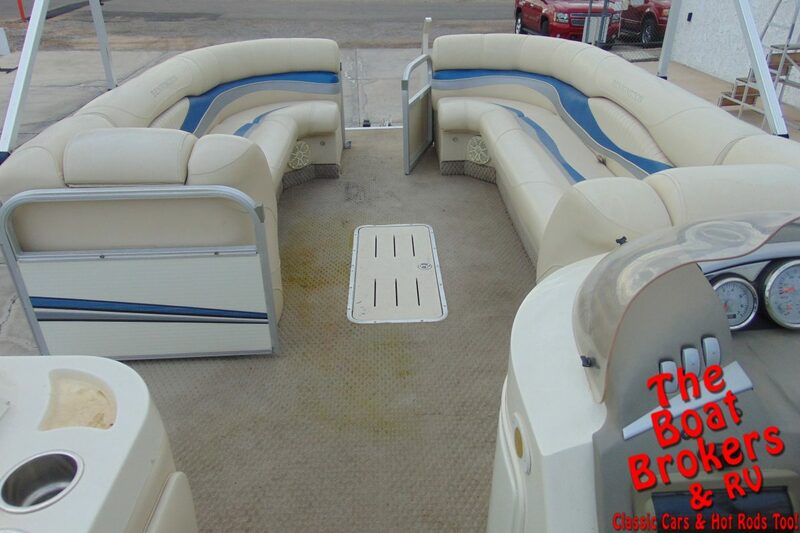 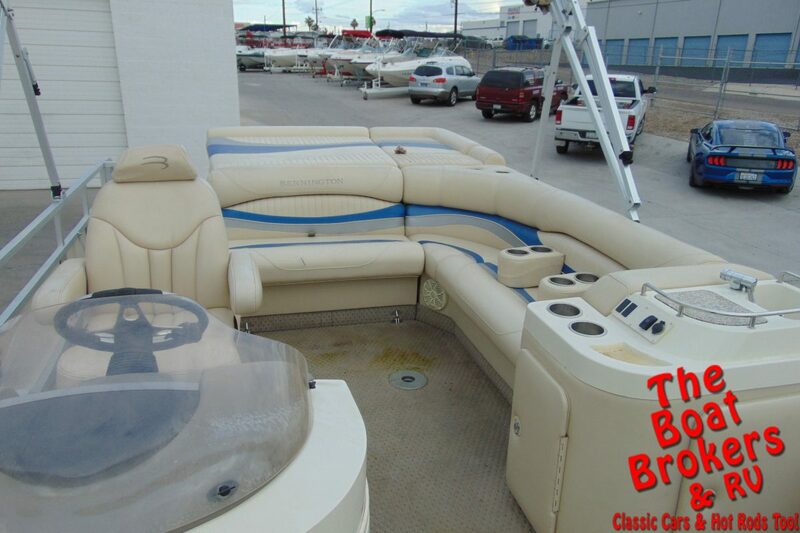 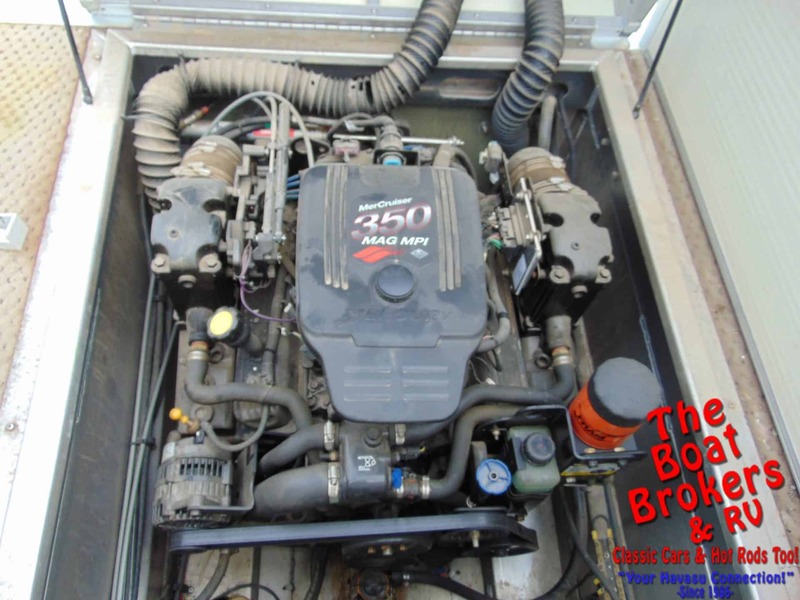 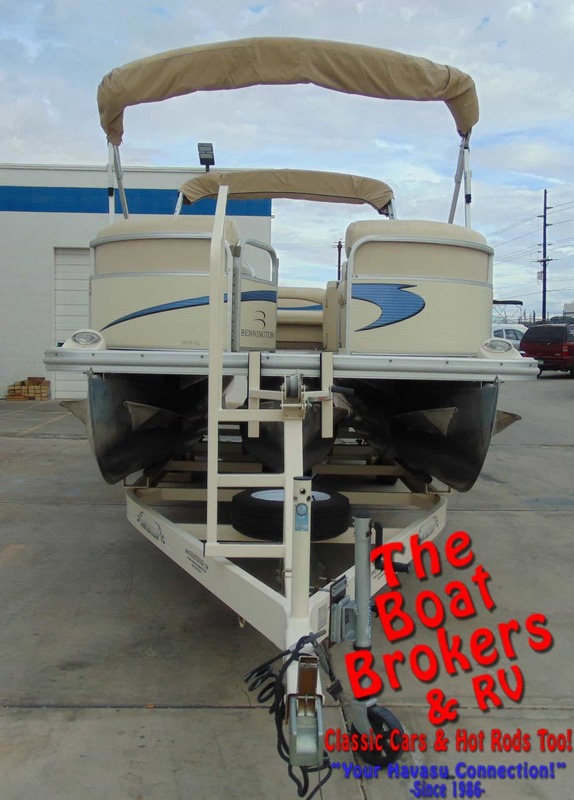 2007 BENNINGTON TRIPLE TUBE 2575 RL I/O 25′ It’s powered by a Mercruiser 350 Mag MPI motor with 300 HP. 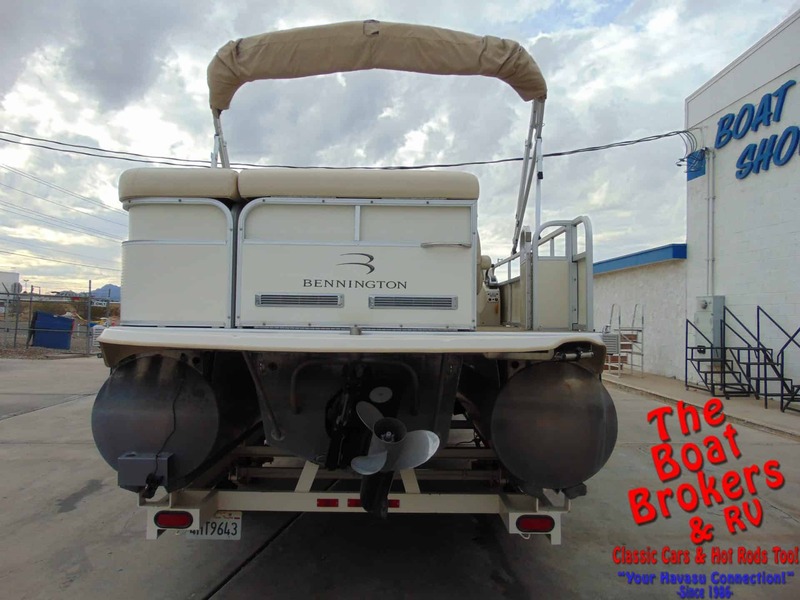 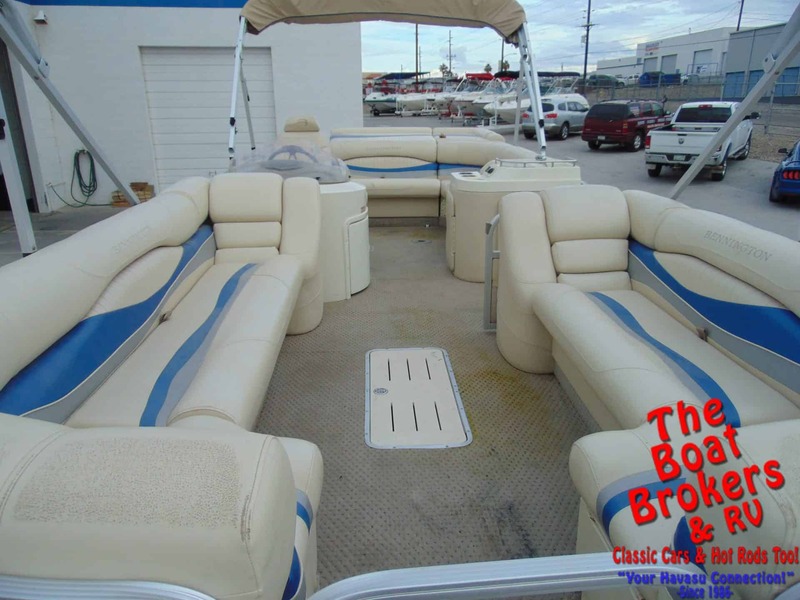 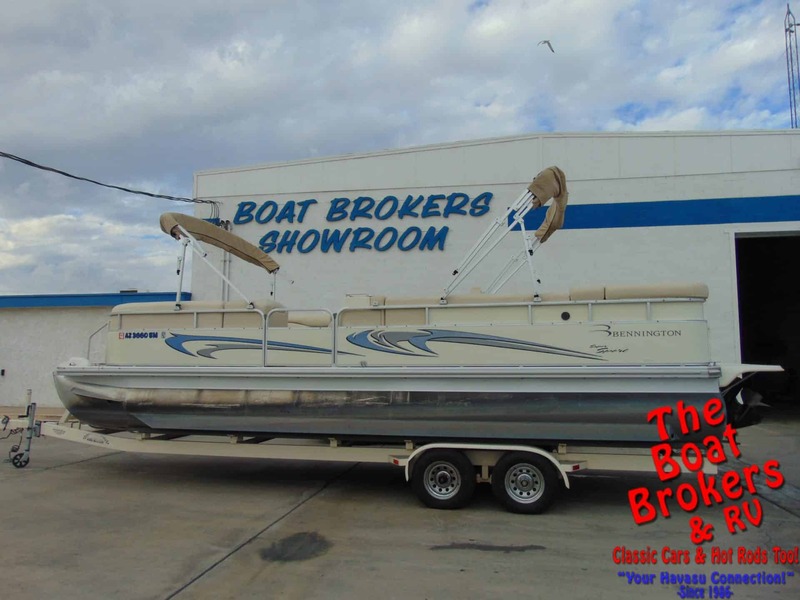 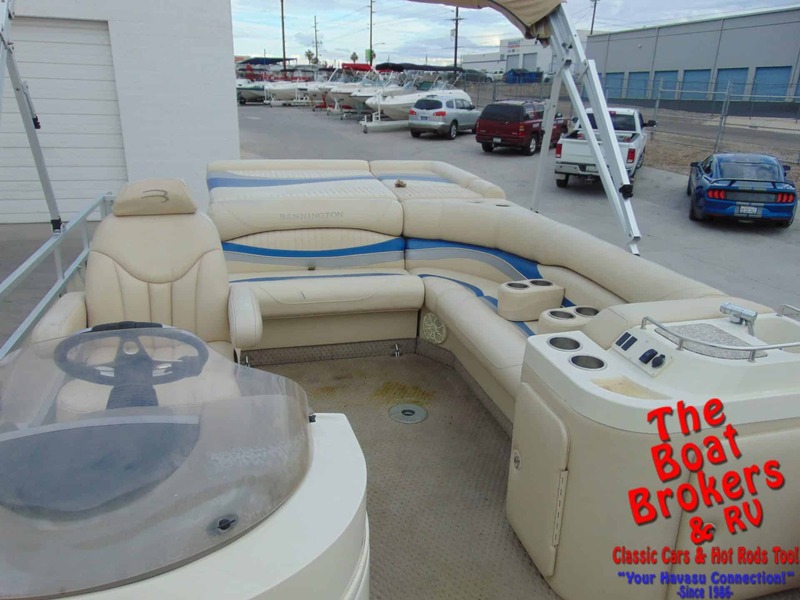 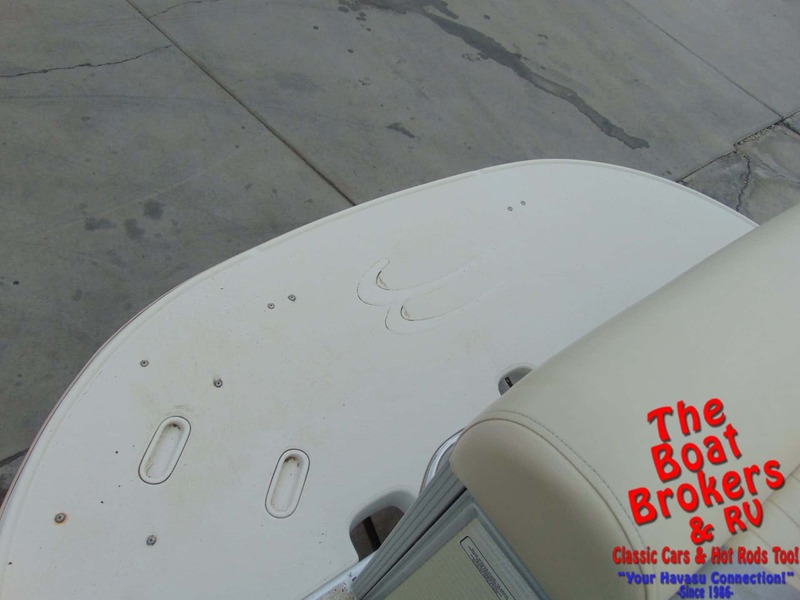 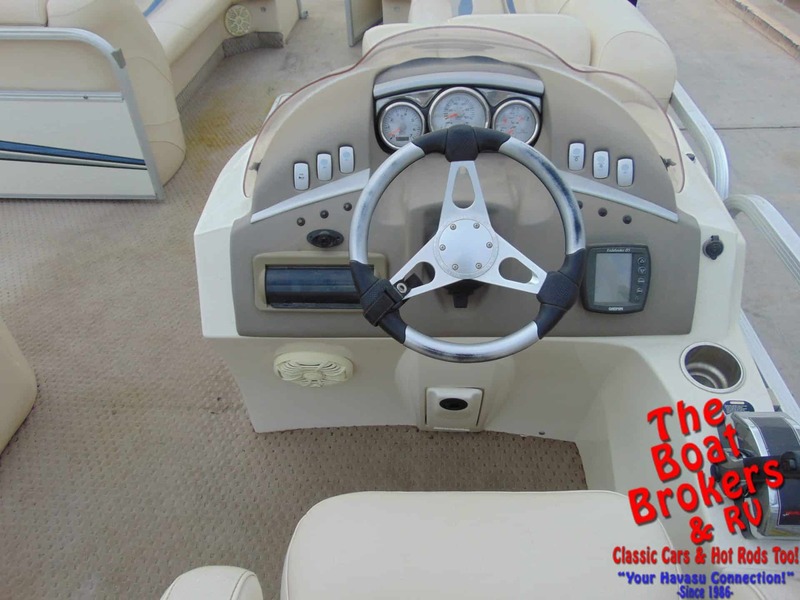 It’s loaded with the Bennington quality including a double Bimini top, full boat cover, fish finder, AM/FM/CD stereo, moveable cup holders, rear swim deck with boarding ladder, and in floor storage. 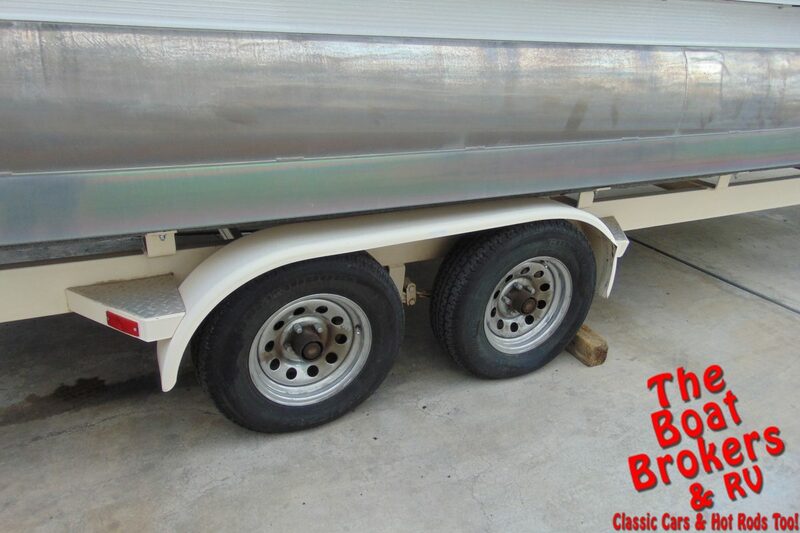 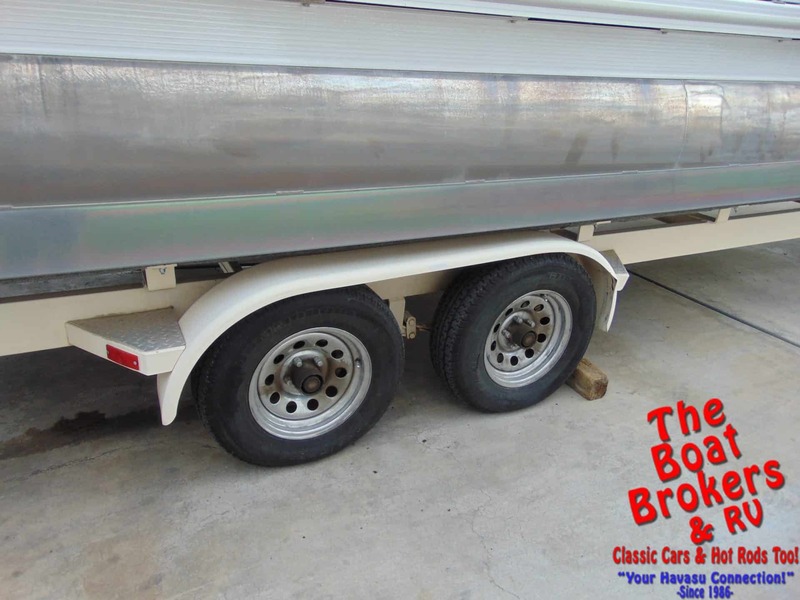 It rides on a dual axle trailer with surge brakes and a spare tire. 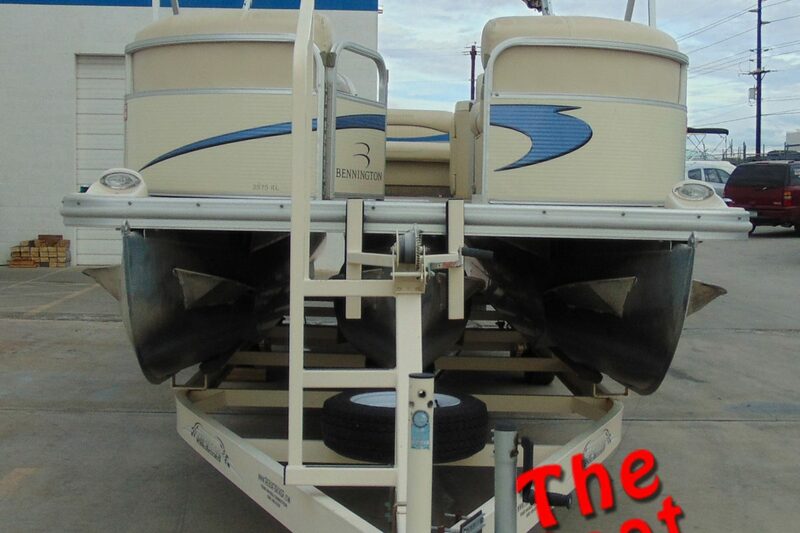 All ready for the lake.